More people are turning to the internet to raise money. But can funding passion projects of friends and family ruin relationships? 'Tis the season for feeling completely financially tapped out. But even after the gifts have been exchanged and the holiday dinners purchased, the pressure to give hasn't ended. In fact, thanks to technology, the pleas to spare some change for those in need now stretches on all year - with many of the requests coming from friends and family. Those who keep the company of creative types may already be feeling the pinch after a year of Kickstarter and Indiegogo requests from friends seeking to fund their projects and ideas. Kickstarter, which allows fundraisers to solicit micro-donations to fund creative projects - also known as "crowdfunding" or "crowdsourcing" - has raised over $380m from thousands of donors. Indiegogo hosted the fundraiser that raised over $700,00 (£432,980) for the sending a beleaguered lunch lady victimised by bullying. It's also become more common for individual web sites to solicit donations for all sorts of big requests - from supporting the families of Sandy Hook victims to fixing one's mangled mouth. "If you need $10,000, targeting the masses is smart," says Farnoosh Torabi, a personal finance expert and host of Financially Fit on Yahoo. The social-media element of Kickstarter, in which fundraisers can solicit money through appeals on Facebook and Twitter, makes it easy to spread the message. "It can generate a lot of enthusiasm and excitement," she says. While asking for money used to be the source of embarrassment, online giving "has taken the fear out of it", says Rhyan Romaine, a non-profit consultant and professional grant writer. "It makes it easier for people to ask for money when they're protected by this online barrier." But for those on the other end of the ask, there's a risk of crowdfunding fatigue. Not to mention the pressure that comes with evaluating and donating to passion projects put forth by friends and loved ones. "It can get tricky and you can end up overextending donations into thousands of things," says Romaine. In her personal life, she says, many of her friends are involved in charity projects, and sifting through them can be tricky. "There's a bit of a quid pro quo. If I have a friend asking me to support a cause, I typically expect to be tantamount to what they gave my pet cause," she says - while noting that she's also vulnerable to requests that exert "a real pull on my heartstrings". But mixing finances and friendships have never been easy. Crowdsourcing is the practice of turning to the masses - usually over the web - to request information, services or products. For instance, a journalist seeking to interview married couples with different opinions about politics might turn to Twitter to make that request. After the super storm hit New York and New Jersey, Occupy Sandy started a website asking for donations of bleach, spray paint and other cleaning supplies. 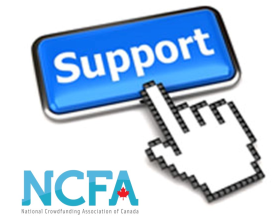 Crowdfunding is a type of crowdsourcing that focuses just on soliciting financial donations. "Two words on the subject of money between friends: 'Be careful'," says Philip Galanes, author of Social Q's: How to Survive the Quirks, Quandaries and Quagmires of Today. In that book and the Social Qs column for the New York Times, he says technological trappings don't eliminate underlying sources of conflict that have existed for centuries. The most important thing to remember, he says, is that no one is forcing you to give. "Invitations to a pal's wedding or to help crowd-source his root canal are not invoices" he says in an email to the BBC. "We always have a choice - even if it requires climbing a Kilimanjaro of guilt to say no to a friend's request for cash."